The One and Only Ultimate Hank Williams Jr. Tribute Show! – “ALL MY ROWDY FRIENDS”! With his natural Hank Jr. appearance, sound and stage presence, frontman, Frank Morrow keeps the “Family Tradition” alive and does what no one else does better when it comes to portraying Hank Williams Jr.! With the look and sound of “Bocephus,” you and your audience will be blown away by “All My Rowdy Friends” Tribute Show! Nationally touring and performing with his band, “All My Rowdy Friends” since 2009 with a fan base that is Nationwide, he keeps the music of Hank Jr. performed with the same concert originality and high energy show of the actual concert as you would see Hank Jr. today! Performance venues include: Casinos, Festivals, Theaters, House of Blues, Private, Annual & Corporate Events, Country Clubs, Bike Rallys and Nightclubs. This show is a phenomenal performance as a headliner act in addition to opening for The Outlaws, The Black Hawks, Craig Campbell, Aaron Tippin, Eric Beddingfield, LoCash, Tobi Lee & Mustang Sally, and Colt Ford just to name a few. Unique in his portrayal of one of the most Award winning American country singer-songwriter, and musician in the USA, Hank Williams Jr., Frank leaves everyone wondering if that is really “Bocephus” himself they are seeing and hearing! 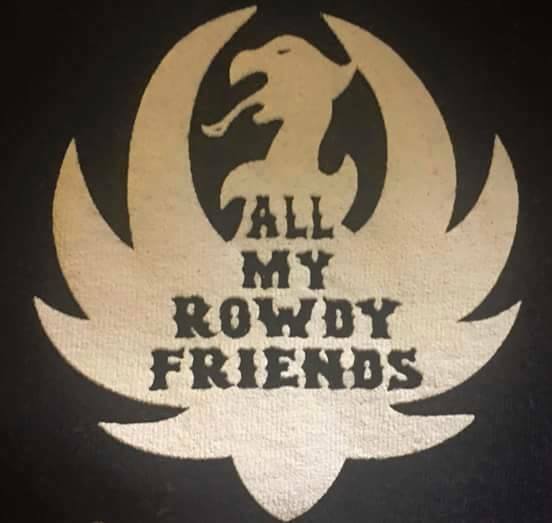 “All My Rowdy Friends” Tribute Show has become a force to reckon with! Click the play button below to hear some music.